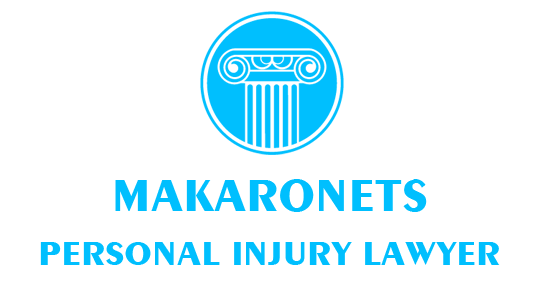 The legal experts of Makaronets Law are a dedicated team of specialists, paralegals, law clerks, and support staff who have devoted their careers to helping victims of personal injury. Getting the financial and emotional relief that victims and their families deserve is the driving force behind every case that we take on. We are all 100% dedicated to our clients, and our commitment to ensure that they receive the best possible results is unyielding. Focusing on only one area of law allows us to optimally allocate all our available resources to personal injury law, which ensures that we remain on the leading edge of legislation, and our proven track record puts us among the top personal injury associations in the province. Successfully conducting trials at every level of court in Ontario gives our specialists the crucial experience needed to fight for the rights of injury victims and go toe-to-toe with major multinational corporations such as insurance companies, auto manufacturers, and public transportation companies among others.We are your first line of defence when dealing with injuries resulting from: motor vehicle accidents, public transportation accidents, motorcycle accidents, pedestrian accidents, slip and falls, product liability, and dog bites. We can also assist you with long-term disability claims, and we routinely handle complex cases involving chronic pain, psychological trauma, spinal cord and brain injuries, and orthopaedic injuries. If you or a loved one has been injured, know that having an experienced and dedicated specialist on your side can make all the difference for victims and their families. The legal team at Makaronets Law is considered to be among the top ranked in the province of Ontario, and our specialists have successfully recovered millions of dollars in compensation for personal injury victims all over the province. Contact Makaronets Law for a consultation; it is absolutely free, and there are no obligations. We can visit you at home or in the hospital, and since we work on contingency, you do not have to pay until we win your case. 95 years of combined experience has made Makaronets Law what it is today for our clients, we are the shield and the sword, protecting their rights and at the same time getting them the absolute best results and maximum compensation that they deserve.